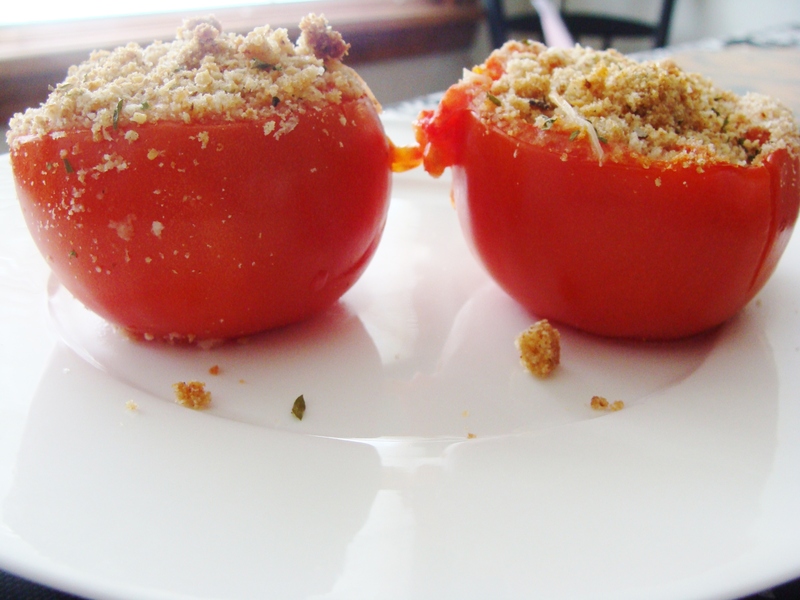 Baked tomatoes are one of my favorite dishes, especially in the summertime when homegrown tomatoes are abundant. Over the weekend, we pulled the last two tomatoes from our garden (tear), and I decided to bake them. Does this pretty much mean winter is on the way? Don’t answer that. Slice the top off of each tomato. Scoop out the tomato pulp and seeds (sometimes I use a sharp knife to remove the center). You’re just making some room for the filling! Mix your bread crumbs and Parmesan cheese in a bowl. Add your olive oil and stir. The mixture will still be partially dry. 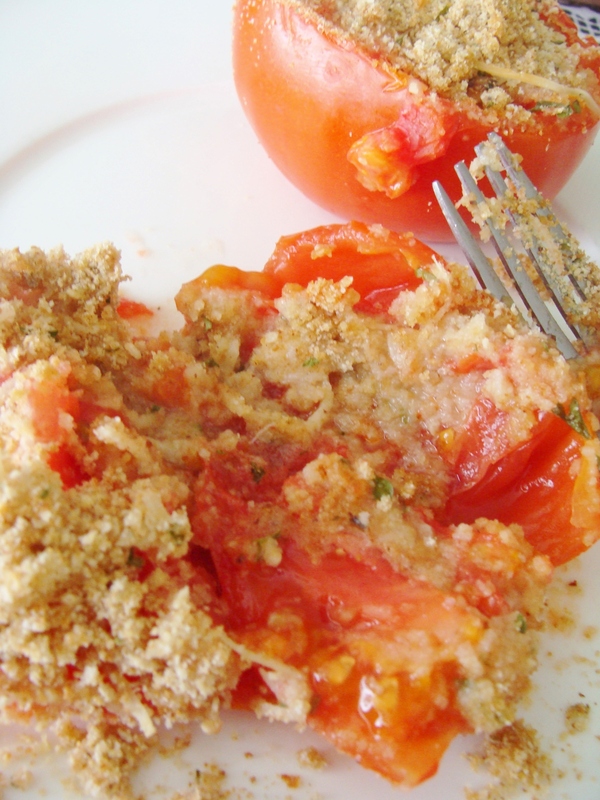 Place tomatoes in a glass baking dish. Scoop two tablespoons of the mix into each tomato. Sprinkle on a little extra cheese. Two tomatoes on a plate, just hangin’. « sauteed mushroom and onion breakfast bowls. 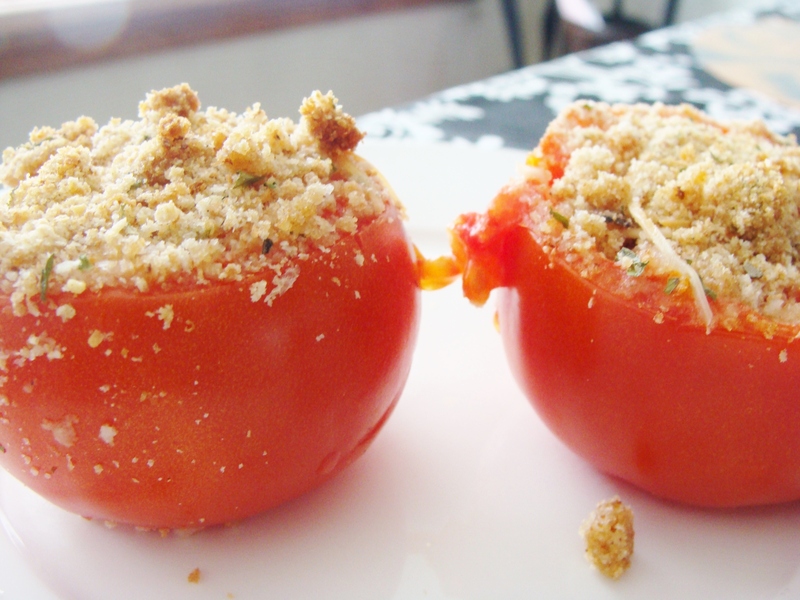 You are currently reading baked tomatoes. at The Cheesy Kitchen.